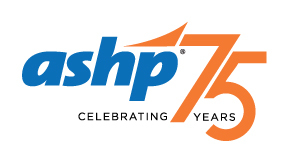 ASHP TURNS 75 THIS YEAR, and we have a yearlong campaign filled with surprises and exciting events for our members to celebrate this significant milestone. The last 75 years have been marked by so many ASHP-led advances in pharmacy practice, including: the creation of postgraduate residency training, clinical pharmacy, enhanced recognition of pharmacists as vital members of the interprofessional team, the largest gathering of pharmacists in the world — the ASHP Midyear Clinical Meeting — and so many more. Although much has been accomplished over the last 75 years, our focus remains on the future, and ensuring that more and more people have access to the direct patient care services of pharmacists. Therefore, the theme of our yearlong celebration is Celebrating the Past, Creating the Future. The founders of ASHP were visionaries who understood and learned from the past but realized that pharmacists must transform their practices. They worked hard to create a practice future designed to dramatically improve the care of their patients. 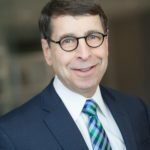 These leaders included legends such as Gloria Niemeyer Francke, ASHP’s first CEO; Harvey A.K. Whitney, ASHP’s first president; and Donald Francke, ASHP’s second president; and, of course, Joseph A. Oddis, ASHP’s CEO for over 37 years. These are just a few of the great leaders who realized very early that pharmacists must do so much more than dispense drugs, and that ASHP should be the organization that makes it happen on behalf of patients. Prior to the 1920s, hospital pharmacy was not a strong, well-organized component of the profession. 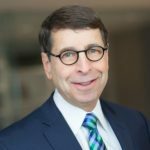 In 1936, a subsection of hospital pharmacists in APhA was formed and, for the first time, hospital pharmacists had a voice on the national pharmacy stage. In 1942, the American Society of Hospital Pharmacists was formed with 153 charter members who worked exclusively in hospital settings. Today ASHP has nearly 45,000 members who treat patients in every healthcare setting, including in ambulatory clinics, hospitals, and throughout the entire continuum of patient care. ASHP members are involved in all facets of pharmacy practice and include inpatient pharmacists, ambulatory care pharmacists, clinical specialists and scientists, informatics experts, practice managers, student pharmacists, residents, new practitioners, pharmacy technicians, and others. We owe our success to our dedicated members, which is why we would like you to help us celebrate our diamond anniversary. We have a number of special activities scheduled throughout the year, culminating in a grand finale celebration at the Midyear Clinical Meeting in Orlando in December. We also are planning significant activities for key ASHP events including the Summer Meetings in June, the Preceptors Conference in August, Policy Week in September, and the Leaders Conference in October. Thank you so much for being a member of ASHP, and for everything you do for your patients. With your help, we can continue to improve patient care and support you in your professional endeavors. Please join us in celebrating this important anniversary — and stay tuned for more details as we roll out our 75th anniversary celebration.